We are celebrating the launch of the new album 'One Thousand Birds' by GRICE released worldwide on Friday 22 March on hungersleep records. Join us and GRICE online and raise a virtual glass as the birds are released into the world. (If you are Über keen to attend the actual playback event, there are a few spaces, private message us for more details). 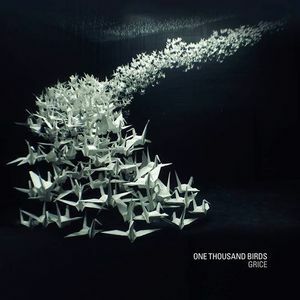 One Thousand Birds is the 3rd album by art rock musician GRICE. Written, arranged and produced by GRICE, the 13-track album features contributions from a select flock of musicians including Steve Bingham (no-man) and sonic luminary Richard Barbieri (Porcupine Tree) who lends his unique ‘sonic hand’ to the album’s title track. Recorded at Sound Gallery Studios (UK) and at Forward Studios in Rome, GRICE features on vocals, guitars, piano, percussion, keys & string arrangements. Additional contributors include long- term musical collaborator and friend Andrew Fred Ehresmann (keys, Hammond organ, piano), Al Swainger (bass, French horn), Luca Calabrese (trumpet), Marco Maggiore (drums), Eliza Carew (cello), Brenda Stewart (viola) & Maria K. Peters (Greek spoken word).